Birthplace : Claremore, Oklahoma, U.S.
Clara Ann Fowler, known by her professional name Patti Page, is an American singer, one of the best-known female artists in traditional pop music. She was the best-selling female artist of the 1950s and has sold over 100 million records. Her nickname is The Singin' Rage (a phrase commonly followed by "Miss Patti Page"). In the decade immediately following World War II but preceding the flowering of rock and roll, a set of star vocalists rose to the top of popular music, displacing the big swing bands that listeners and dancers had favored during the war era. This was really the point of origin for the music industry as we know it today: record-label executives wrested the power in the industry from the old publishing firms and carefully cultivated the careers of singing stars, assiduously managing their public images. One of the very biggest of these stars was Patti Page. She provided the vocals for "Tennessee Waltz," one of the most successful popular recordings of all time. Page was born Clara Ann Fowler in Claremore, Oklahoma, near Tulsa, in 1927. Her father worked for the railroad, and she remembers picking cotton sometimes as a girl, but eventually the family settled in Tulsa. In high school she was drawn to acting and singing, and after graduation, she auditioned for a country-music radio program on Tulsa's KTUL radio. Page was not hired, but did land a job in the station's advertising department. When one of the station's regular vocalists fell ill, Clara Fowler received both her first break and her stage name, for the program on which she substituted was called Meet Patti Page, sponsored by the Page Dairy company. She was given a regular afternoon spot on KTUL, and before long, Jack Rael, described by Page as a band manager but by Life magazine as an itinerant saxophonist, heard her singing on the radio and offered his services as manager. Rael devoted himself entirely to Page's career, and the two split her earnings equally. He was still managing Page in the early 1990s. Page's first national exposure came when she moved to Chicago. After months of hard touring during which, Life observed, "she nearly starved, and her contours dwindled from size 16 to size 10," she landed a spot on an ABC network radio show called The Breakfast Club. From then on, her rise to stardom was rapid. Though only 20 years old, she was signed by the Mercury record label in 1948. She could not have landed in a situation more congenial to her talents. Mercury in the late 1940s was the domain of legendary pop producer Mitch Miller. Miller was a technical wizard, partial to the new technique of overdubbing--laying one track over another--that enabled Page to sound like she was harmonizing with herself, but he also saw great potential in the simple structures of the country songs of the period, adapting them for the pop market. Page, having grown up in Oklahoma singing country music, was comfortable with country-flavored material, and her recording career took off quickly, buoyed by this fare. Her first hit was the overdubbed "Confess," released in 1948; she also scored with "All My Love" in 1950. Several of the sides she recorded then were notable in that they featured a small jazz band in place of the miniature orchestra characteristic of the age. By the end of 1950 Page had made her New York nightclub debut and was at work on a Christmas release for Mercury, the now-forgotten single "Boogie Woogie Santa Claus." "Tennessee Waltz," which eventually sold an estimated 7,000,000 copies, started life as the B side of this record; it was rescued from oblivion by intense public demand, which began to build almost as soon as the disc was released. "Tennessee Waltz" was first recorded by a country band called Pee Wee King and His Golden West Cowboys in 1947; it was composed by King and his lead vocalist, Redd Stewart. It was a minor hit both for King's group and for country vocalist Cowboy Copas. Page and Rael apparently became familiar with the song through a recording by jazz artist Erskine Hawkins, and various people, including Atlantic Records founder Jerry Wexler, have claimed that they brought the song to Page's attention. Whoever may have been responsible, "Tennessee Waltz" fit perfectly with what Page, Rael, and Miller were trying to accomplish. Its simple country narrative of a girl who loses her sweetheart to her best friend at a dance was ideally suited to Page's dreamy, crooning contralto; Page took naturally to the song's tone of reflective, melancholy reminiscence. The record also represented the biggest commercial success for the overdubbing technique to date. In the ensuing years, over 500 cover versions of "Tennessee Waltz" appeared, and the song remains an indelible part of American popular culture. Page's career never quite reached such a peak again, but she remained one of the country's most popular singers through most of the 1950s, strongly identified in the public mind with country-tinged pop songs, such as 1950's well-received "Mockin' Bird Hill" and Page's personal favorite, "Old Cape Cod," from 1956. Another million-seller for Page was the novelty pet-shop ode "Doggie in the Window"; a widely enjoyed parody of the tune by the outrageous country comedians Homer and Jethro confirmed its near-universal familiarity. Throughout the 1950s, Page was a fixture of the television variety-show circuit. In 1957 she was offered her own host slot on The Big Record, a rock and roll-oriented musical program. But Page's laid-back style proved ill suited to the brashness of the rock era. Look magazine noted that "clinkers popped up in the program and there were changes in the staff" in an attempt to rescue it. But the show did not last; nor did a 1958 successor, The Patti Page Show. Page moved from Mercury to Columbia Records in 1962, and her new label gradually began to steer her in the direction of country music, with which she had been nominally associated all along. A series of country LPs in the late 1960s and early 1970s were moderately successful, and as late as 1981, Page cracked the country Top 40, with a single on Nashville's Plantation Records. "A lot of people ask me how it feels to be back," she told Edward Morris of Billboard at the time. "And I tell them I've never left--that they've just not been around to see me." These fans could have found her on the stage of the country's poshest nightclubs. Even in the late 1950s, while her recorded work was greatly in demand, club appearances in New York and Las Vegas consumed much of Page's time and energy, and over the next decades, her appeal to nightclub audiences remained strong. By the early 1980s she had reached another pinnacle of pop-music achievement: appearing with a major symphony orchestra. She performed with the symphonies of Cincinnati and Mexico City, among others. In the early 1990s Page lived near San Diego. The mother of two children she adopted during one of her two marriages, she still made regular appearances on the nightclub circuit. As a reviewer for Variety noted in 1990, "[Perhaps] the most surprising thing about watching and listening to a live Patti Page show is realizing how little her pipes have changed. The head tones are as clear and the chest voice as rich as in the golden Mercury Record days." Somewhere between a true artist and an occupier of the right place at the right time, Patti Page was without question one of the best-loved singers of the postwar era, credited with fourteen million-selling records during the 1950s. The various reissues and compilations of her work that began to appear on compact disc in the early 1990s suggested that the eclipse in reputation she suffered during the early heyday of rock was undeserved. 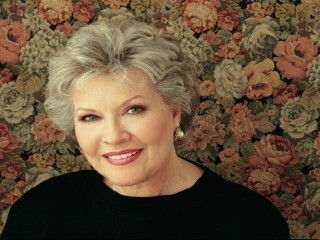 In 1997, Patti Page was inducted into the Oklahoma Music Hall of Fame and in 2007 into the Hit Parade Hall of Fame. -16 Most Requested Songs Columbia Legacy, 1989. -The Patti Page Collection, Volume I (includes "Tennessee Waltz" and "Mockin' Bird Hill"), Mercury, 1991. -The Patti Page Collection, Volume II (includes "Doggie in the Window" and "Old Cape Cod"), Mercury, 1991. -The Uncollected Patti Page With Lou Stein's Music '49 Hindsight. -Christmas With Patti Page Mercury. View the full website biography of Patti Page.